It’s never easy to capture a specific culture or its dissimilarity with Western World traditions. It’s difficult for these cultures to be understandable, approachable and more importantly, relevant in today’s times. What you see in MUSTANG is everything that’ll shock you, make you cry, stun and then wonder, how is it possible that such things still happen in the 21st century? 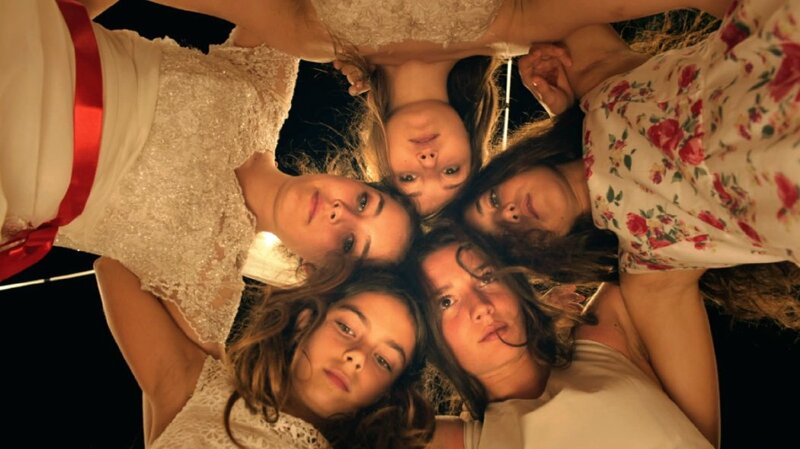 There is no need for the gifted director DENIZ GAMZE ERGÜVEN to go far and beyond to tell you the story of five sisters, Lale, Nur, Ece, Selma and Sonay whose lives will change forever, along with your vision of life in aspects you were never even aware of…. Five sisters in a remote village are playing with local boys. They swim in the beach, enjoy their youth and do nothing that could have put a stain into their reputation. However, their father thinks otherwise and have them immediately conduct a virginity test, locks them in the house and turn their room into prison. Those girls who you see in the beginning will no longer be the same, as they grow old, wise and matured quickly. And this is when they will start questioning themselves, is this the life they want for themselves? But the problem is, in the society where they live, no one cares much what they want as their life is already written and approved by adults. There are many reasons to see Mustang, and the performance delivered by the entire cast is one of them. And that’s because of brilliant directing that allowed young actors to showcase their talent at the top level. However, one actor who I must emphasize here is Gunes Sensoy as Lale, who is the driven energy, fuel and true leader, with whom nothing can go wrong. And in the end, Mustang is a superbly executed film showing you up close a culture that you certainly would like to know, but meantime, a dangerous one that has huge consequences… the one our heroines must face.